You can leave the plastic bag holders behind and actually feel great about walking your dog with this fabulously functional bag. The leather flowers have hand-painted edges and are secured with a Swarovski Crystal or a nickel rivet in the center. Select the leather color of your custom leather poop bag holder, the color of the bottom flower & the color of the top flower and your choice of stone. 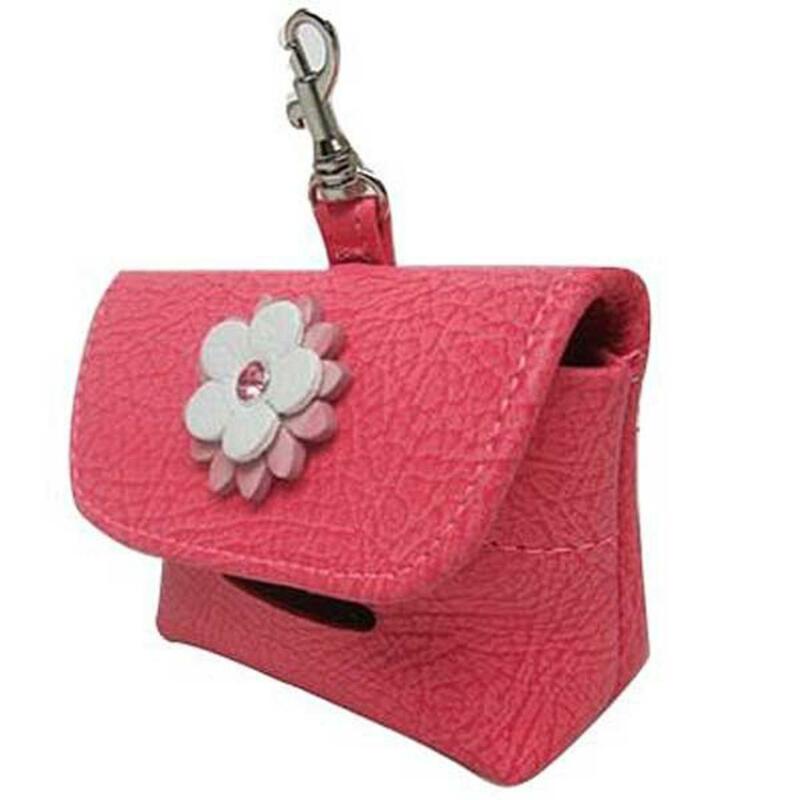 This poop bag holder is made with the same fine quality leather and craftsmanship used for our collection of leather dog collars, leashes, harness, carriers, and is part of the Penelope Dog Collection. There is a matching dog collar, dog leash, and a matching key fob available.